Occasionally you might want a question on your entry form which has a very long list of answers. 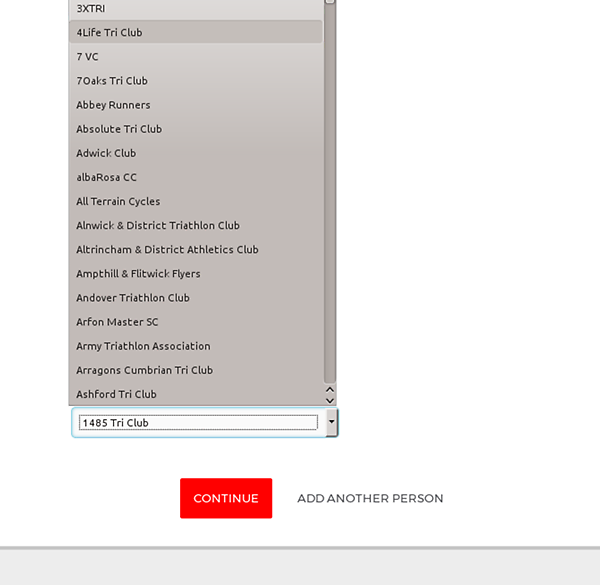 For example if you want your entrants to select their club from a list, or their country from a list. 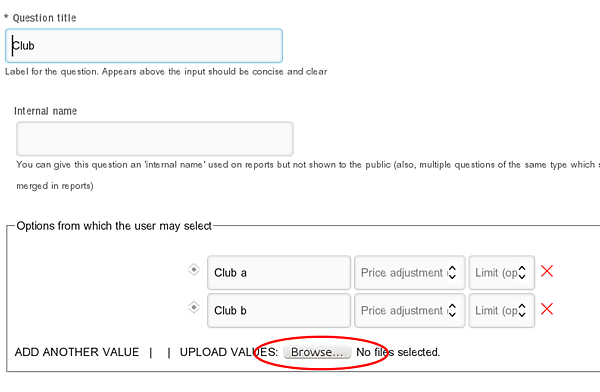 Now you could maintain a 300-answer dropdown using the form editor: manually type in all the options and drag and drop them when you need to adjust the order. But we have a better way - just upload the list from a spreadsheet. You can download it at any time, edit in your spreadsheet programme and upload again. 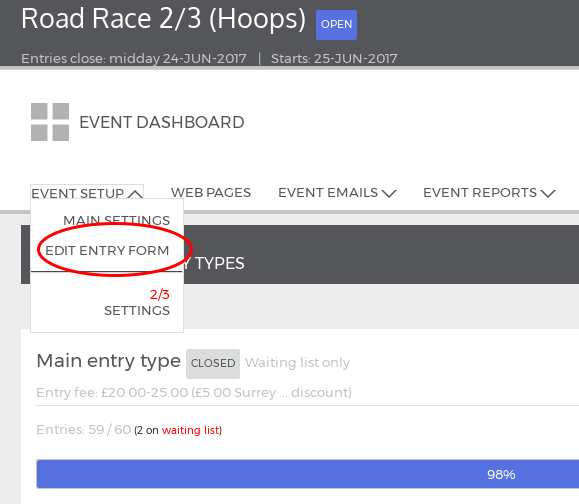 You can also use our new 'shared question' setting to share the same question among all your entry forms, so you only need maintain the list in one place.